Hello beautiful, Finally I'm having my holiday and I'm going back to my hometown next week. So basically I'm having a shopping week. I went to Sephora for christmas gift shopping and bought some product from Too Faced, Glamglow, Laneige and also Kate Somerville. 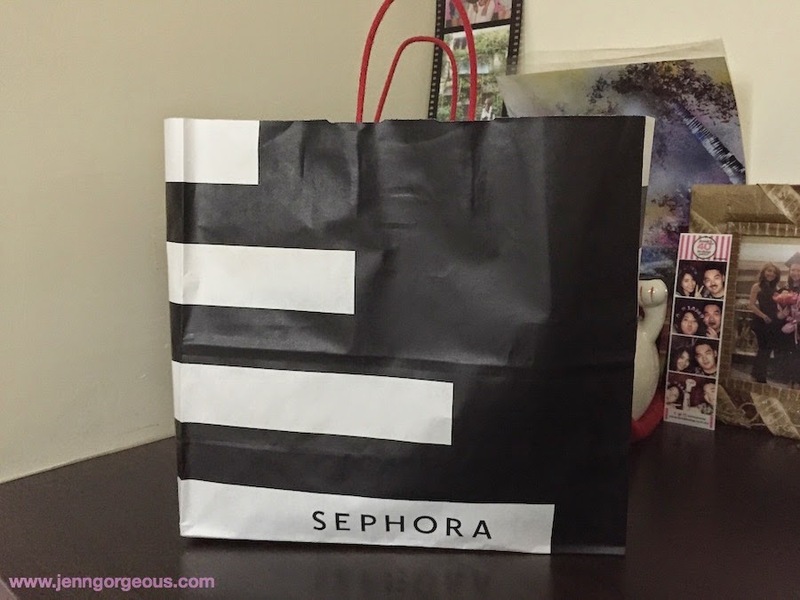 If you wanna get stuff from Sephora, they are having promotion where you can get a stamp of Rm120 purchase and you collected 2 stamp to get lucky draw, and 5 stamp to get a pouch and 6 stamp which you completed the whole stamp card you can get a tote bag, this promo is until 25th December 2014. 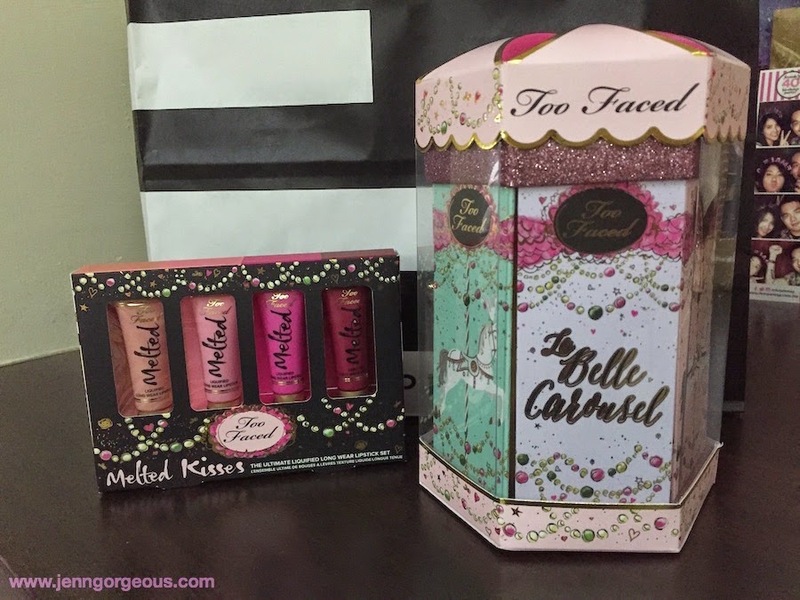 I got two item from Too faced Christmas collection, I really love the too faced melted lip colour( RM95) . They are my current favourite. 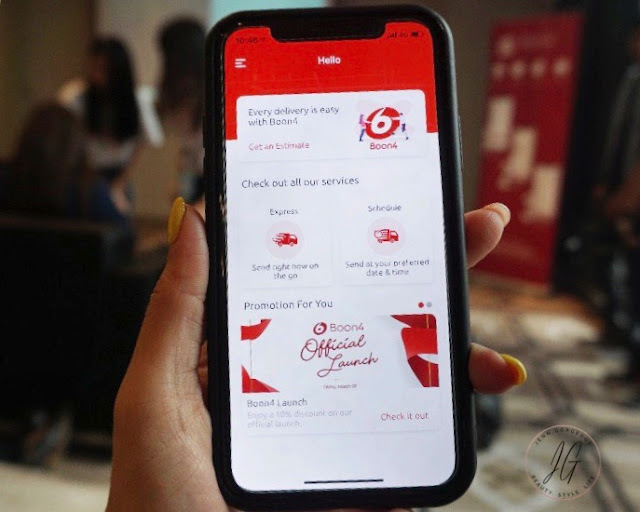 Will do a full review soon. And I also got this Too faced carousel set(RM165) where it can be a separate gift for christmas present, they contain of 3 eyeshadow palette, 2 blusher and bronzer, and 1 mascara. Next, I got this toner for my boyfriend, it's from Kate somerville. He needed a new toner, so I thought why not try out this brand. 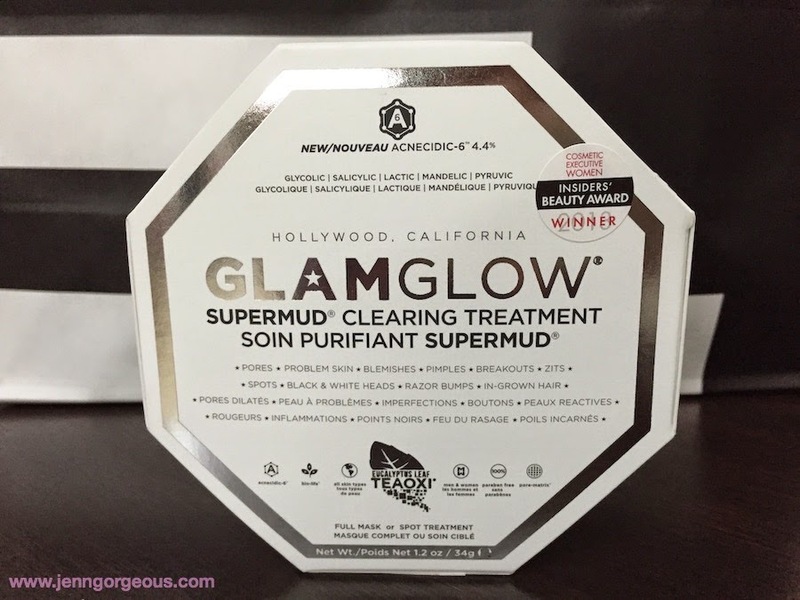 My boyfriend keep asking me for the glamglow mask which I let him try last time, so i decided to buy this Supermud clearing treatment that is suitable for his acne and big pores skin. He really like it because the mask improve the texture of his skin and his acne is reducing. It's Rm240. 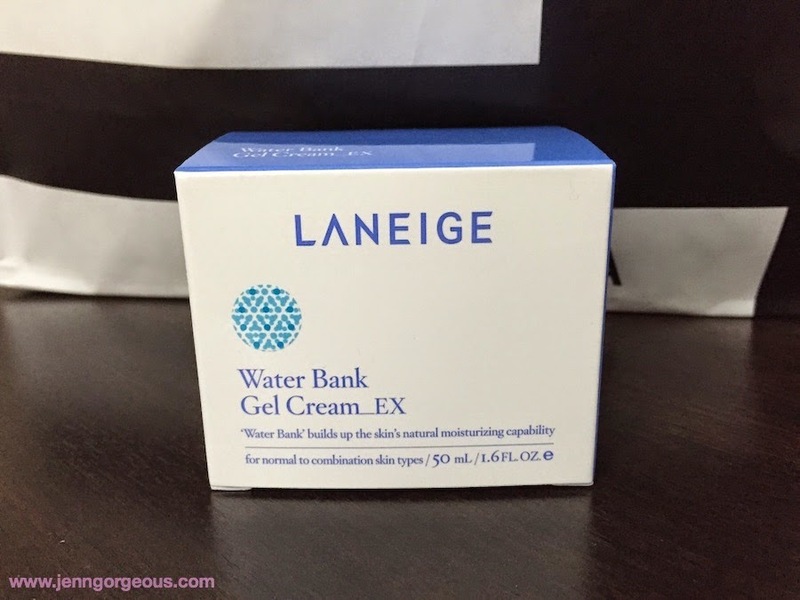 My current skincare product is from Laneige and I really love the water bank range. I got this moisturizer for my boyfriend that is gel type which make him feel that he is putting any moisturiser on. Freebies I got after collecting all the stamp. 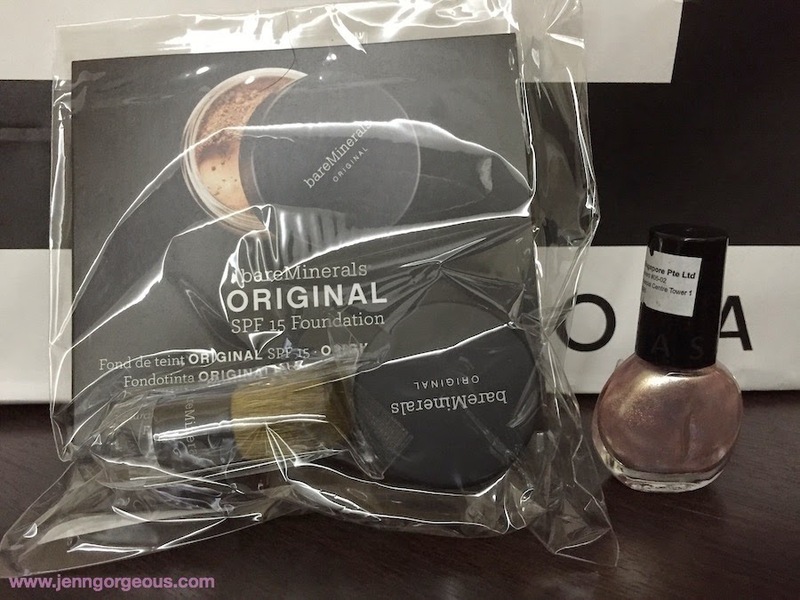 Miniature of bare mineral products and nail polishes from sephora. 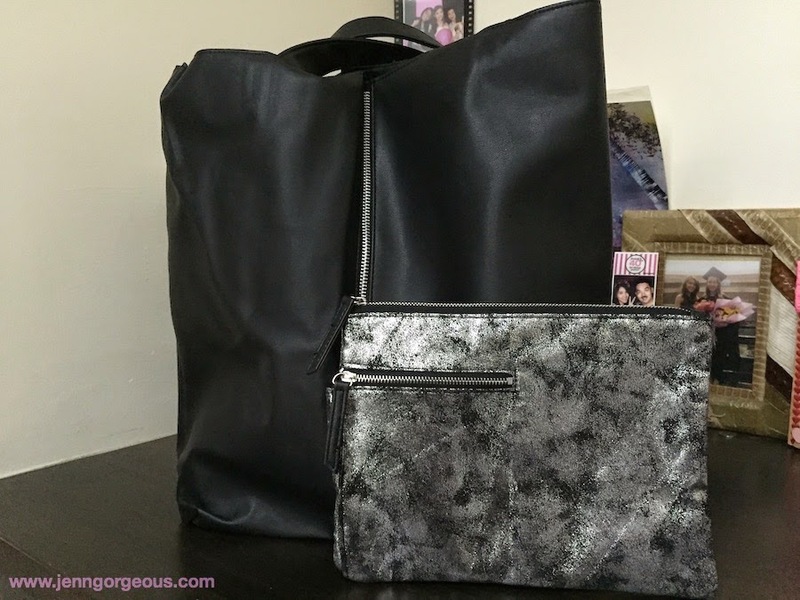 A big tote and a metalic pouch.